The answer depends on how much embroidery you intend to do. If you are basically taking a hobby and plan to do some embroidery to make a little cash, you won’t need the same machine as someone that wants to do commercial embroidery and plans to produce a great deal of product. The best home machine won’t work well for commercial embroidery, and the best industrial machine won’t be a good match for a hobbyist looking to make product here and there. The single-needle machine is great for a hobbyist or crafter that only embroiders projects now and then. They are lower-price models compared to the multi-needle. The drawback is that the single-needle is going to embroider far too slowly for a business owner because the machine will need to be stopped and re-threaded for every color in the design. Using a single-needle machine for commercial purposes, even with a lower volume of multi-colored designs, the machine will simply break down in a short time because it was not designed for the type and volume of work done by an embroidery business. Single head multi-needle embroidery machines are better for hobbyists that plan to make a little extra cash on the side. With this machine, each needle holds its own thread color so the embroidery process isn’t stopped to change thread color like on the single-needle. This means embroidery gets done faster. The multi-needle single-head is more versatile than the single-needle, allowing embroidery on a wide range of products, and with the ability to embroider larger designs. That versatility provides more avenues of income since you can broaden your product offerings to include jacket backs, hats, canvas bags, and much more. All Highland embroidery machines come with the patent-pending RPS Reciprocator Protection System that provides unbreakable reciprocators so you can keep embroidering even after a hard hoop strike that would break the reciprocator on other brands. MESA machines also include high definition touch-screen LCD control panels, making editing & design previewing easy. All four machines include built-in noise reduction, a large sewing area, our quick change hooping system, and an optional cap system for sewing hats. We've also assembled the most commonly needed items into money-saving optional packages to help you get started. Business Start-Up Packages include Wings XP Embroidery Software, backing, water-soluble topping, needles, thread, bobbins, stock designs, and more. 14.25x3.5" 14.25x3.5" 14.25x3.5" 14.25x3.5" 14.25x3.5"
NA 22x14" 22x14" 22x14" 31.5 x 19.25"
"I just want to send my thanks to MESA for having such a great machine and impeccable customer service. In the past we have always used Brother machines, but when my company was expanding into larger sewing surfaces and I needed a new machine, I did months of research to find the best bang for my buck and I found it here with Highland. After a few minor adjustments my 15 needle machine is the most quiet workhorse I have ever used. My embroidery files range from 20,000 stitches to over 700,000 stitches, and at 1200 spm on flats it doesn't take long to sew them out. I highly recommend Highland to anyone and can't wait to look at buying a multihead." Multi-head embroidery machines are an excellent choice for the established embroidery business needing more embroidery heads to run large embroidery orders fast. Keep in mind that multi-head machines will sew the same design on every head simultaneously. For example, an order for the same design on 100 caps would mean running the job 100 times on a single head machine, but a four head machine would embroider four caps simultaneously so you’d only need to run the job 25. 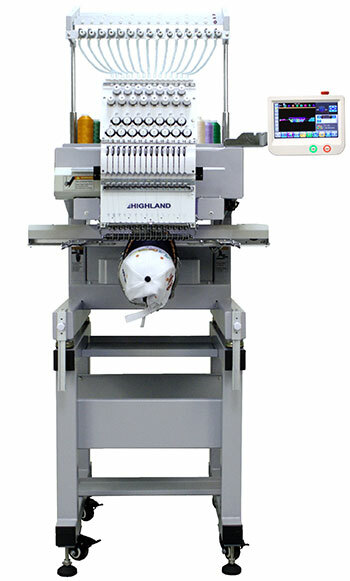 Multi-head embroidery machines are much larger than single-head machines. You’re going to need a garage, or a room or building dedicated to the machine. Although multi-heads cost more than single-heads, these workhorses are incredibly efficient and can churn out far more product than a single-head machine. "I can't say enough nice things about the way my wife and I have been taken care of by MESA. Service always calls me back promptly, and we have received great support for our HM-1501C." Support: Does the company that sells the embroidery machine offer support? How many ways are there for you to contact them? Is there a fee? Make sure you purchase from a company that offers support for the machine you buy. Training: Does the company that sells the embroidery machine offer training? What type of training? 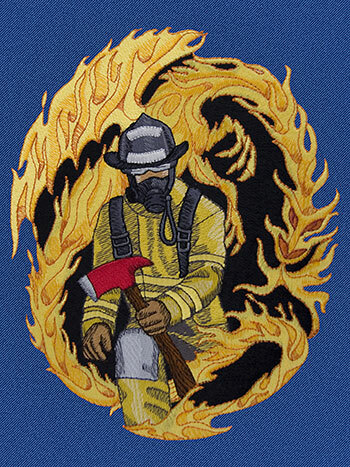 Is there a fee for embroidery machine training? Getting training on your new machine is priceless. Financing: Is it available? Do they offer 0% financing so you can start an immediate ROI? Most companies offer financing but few provide 0% financing, which can make a huge difference in the monthly payment amount. Add-ons: Do you only get the machine, or are there other optional items you can get from the dealer to have everything you need to get started on your home embroidery business? MESA has options like cap systems and Business Start-Up Packages that include stock designs, software, and more. Now that you have a good idea of what the best embroidery machine for home business is for you, it’s time to talk to a salesperson. MESA provides a warranty, support, training, and 0% financing. We’ve got add-ons to help you get started right away with your embroidery machine, when it arrives in your home. MESA has been in the apparel decorating industry for over 25 years. This experience is invaluable when redesigning a system or selecting a manufacturer to make products for us. It also means MESA has the experience and expertise to guide you toward the right equipment for your home business. "The level of service that all of you have provided has far exceeded our expections, and we certainly look forward to a long business relationship with all of you as we progress in this industry. We would definitely recommend your company to anyone who is looking to purchase equipment or begin a new embroidery business. Thank you for everything!"